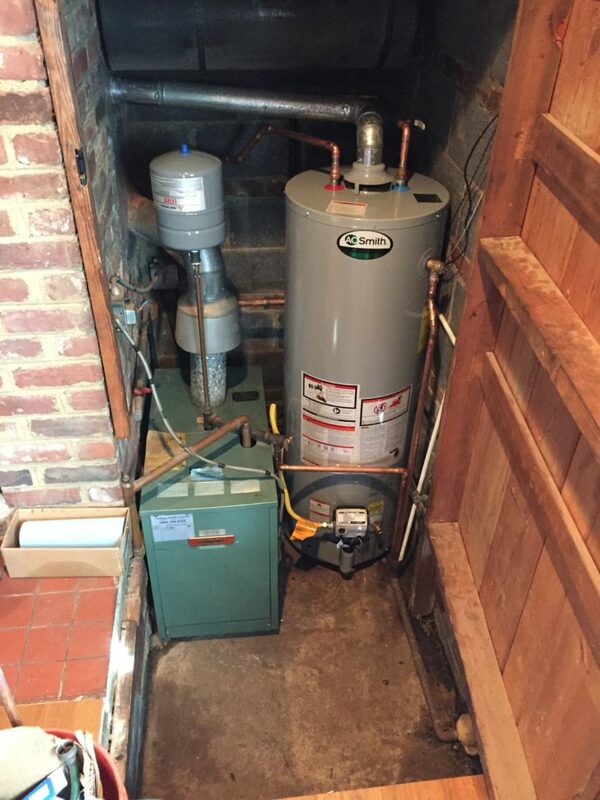 Gas Water Heater Installation | Carroll Plumbing & Heating Inc.
We have a lot of experience in historic, older Richmond homes and no space is too small for us. Check out this gas water heater installation our technicians managed to fit into a tight closet. Water heaters are notorious for being an eyesore and taking up valuable space you’d otherwise use for something else. At Carroll Plumbing & Heating Inc. our technicians understand how to use available space in your home for the right equipment. Whether you’re interested in replacing your conventional tank heater, or want to upgrade to tankless or hybrid, even convert from electric to gas, we’re well-versed in nearly every make and model and will help you narrow down your options. Water heaters come in all shapes and sizes, as do the charming, historic homes in the City of Richmond. If you’re looking for plumbing service, plumbing repair, or gas installation in your Richmond, VA home, contact us today!